Up on alpine swimming? Off to Bockhartsee ! From Bad Gastein it goes on a toll road to Sportgastein. Arrived at the bottom of the valley it is best to leave the car at the hiking car park in front of the Valeriehaus. 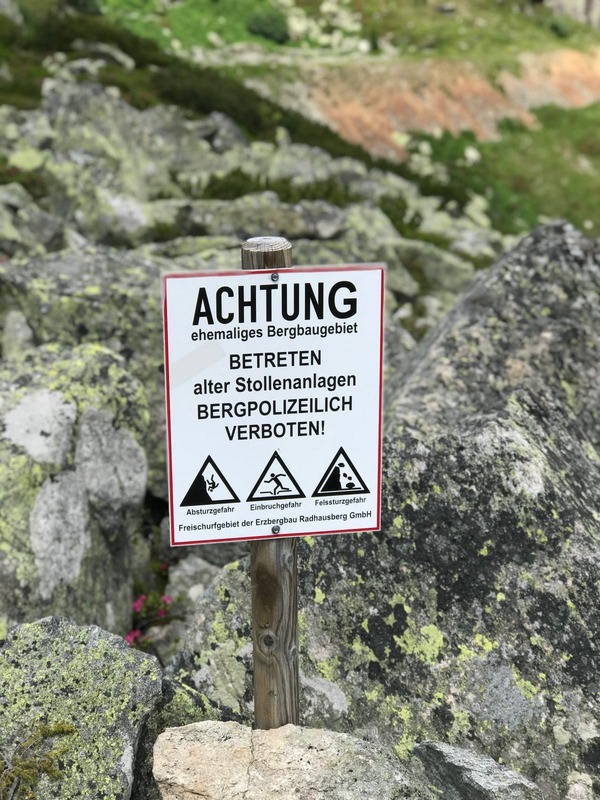 Alternatively, it’s now more comfortable on the supply road or direct and steeper over the walkway up to Bockhartseehütte. Even here, the mountain panorama is breathtaking and stirs the expectation on the Bockhartsee. This anticipation is also more than justified. At least as far as the upper Bockhartsee is concerned. After a climb of about 45 minutes you reach the beautifully located Bockhartseehütte. 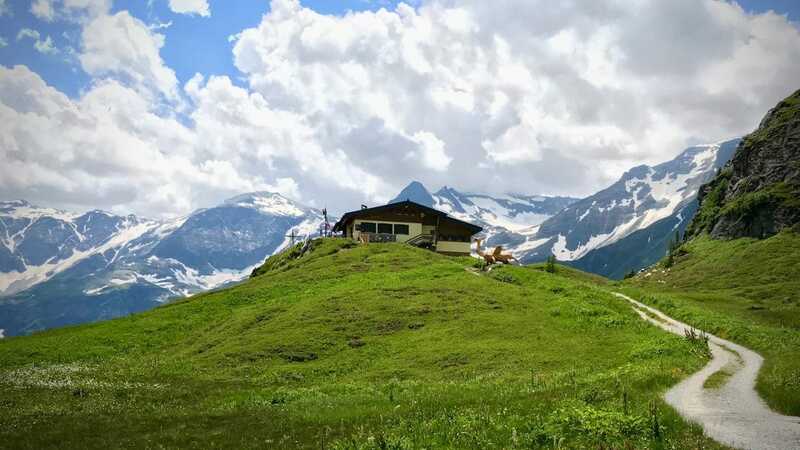 Here you can take a gastronomically supported breather or leave the hut in the truest sense of the word left lying on the dammed lower Bockhartsee continue. Already during the ascent you will notice remainders of walls, rubbish dumps and the route of an old road. By warning and prohibition signs, it is pointed out that you are here in an ancient mining area and the passage of the tunnels can be life-threatening. There are many indications – and recently carried out archaeological excavations confirm – that the environment of Bockhartseen was inhabited since Neolithic times! Whether the mining was begun before the Christian era or only in Roman times, is difficult to prove because of the superposition of the sites by the medieval gold mining. On the fact that already the Romans have operated here mining, indicates the typical Roman road system of the cart path. From the Bockhartseehütte, the path leads first downhill and then without major inclines along the lower Bockhartsees to its rear end, where his inflow is. From here it gets a bit steeper but more appealing. 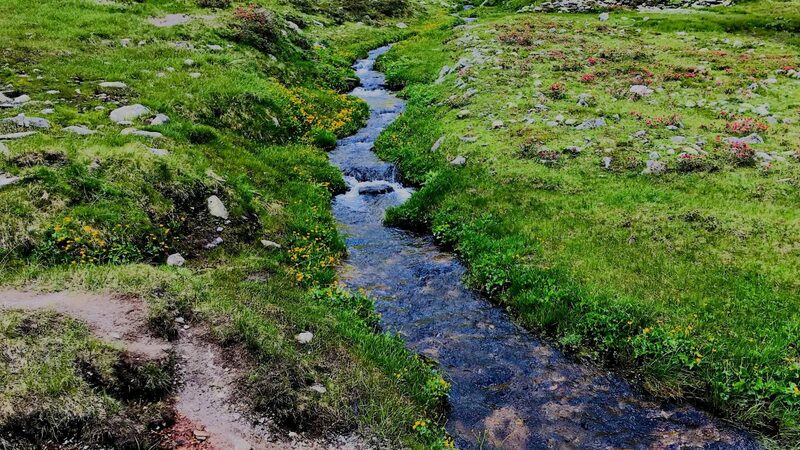 Especially in the early summer when the alpine rush is blooming, the brook splashes gently and the cowbells ring, the Almidylle is perfect. 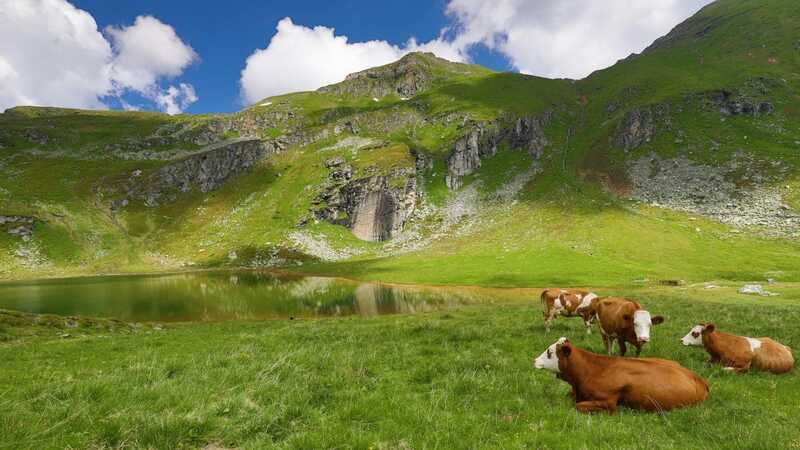 It lies at a good 2 070 m above sea level, is about six hectares in size, about six meters deep and in contrast to today’s Lower Bockhartsee a natural mountain lake. He is “guarded” by Kolmkarspitz, Bockhartscharte and Silberpfennig. During the medieval gold mining the lake was called Pochkarsee. Probably because it was hammered and pounded by the mining ?! 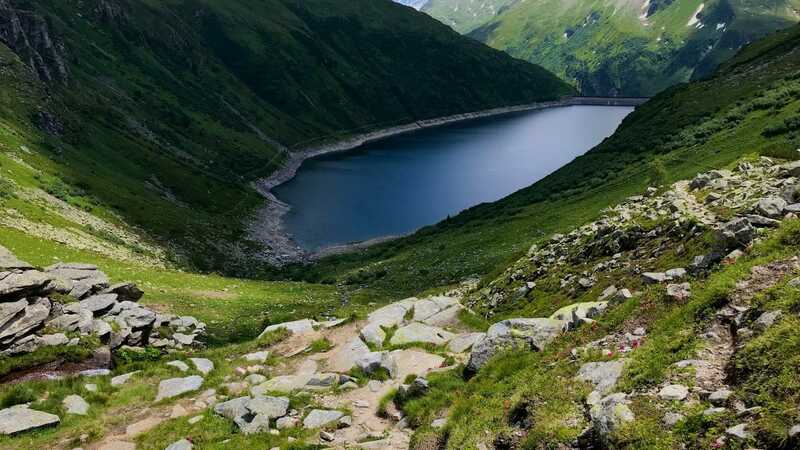 Today, the Bockhartsee is a popular hiking destination and is due to its low water depth and moderate water temperature even for less pruned at least for a short cooling. Alpine Swimmer? They’re getting more and more! More and more contemporaries pack in the hiking backpack not only provisions, but swimwear and swimming Equippment. I notice this increasing interest not only in the circle of friends and acquaintances, but also in the context of my guided alpine swim-hike tours. The more mountain lovers dare to take a dip, the more important it becomes to point out safety aspects and the sensitive use of natural resources. This is, not only here in the blog, but also in my Alpine Swimming – Touring and Alpine Swimming Holidays offer, top priority.